The first solution to merge videos into one is by using BeeCut. 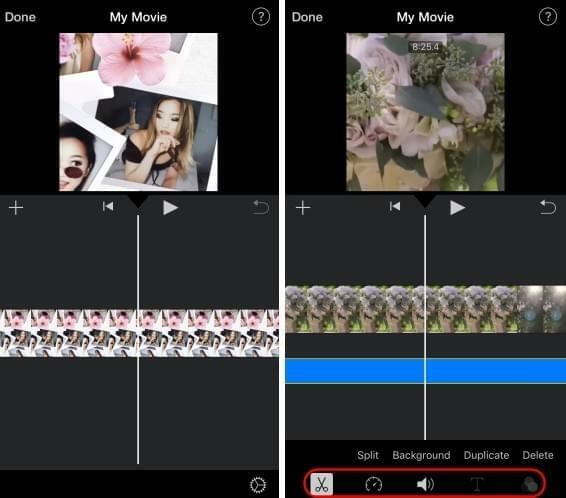 This is a free video editor for Android and iOS devices. It has a simple interface and versatile video editing functions. 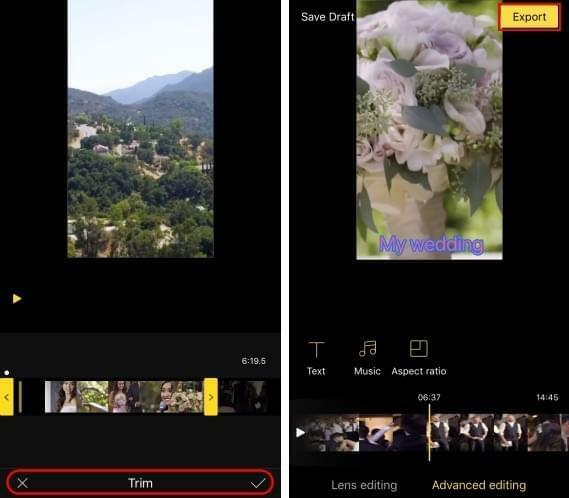 Furthermore, this application is designed for all beginners to edit a video. Because of its easy-to-use features, you'll be able to merge videos instantly in just a few steps. To utilize this free video joiner, simply follow the steps given below. Download and install the application on your device. For Android users, install the application from the Google Play Store. While, get it from the App Store if you are using an iOS device.Or you can click the buttons below to get the app. Run the program once installed. 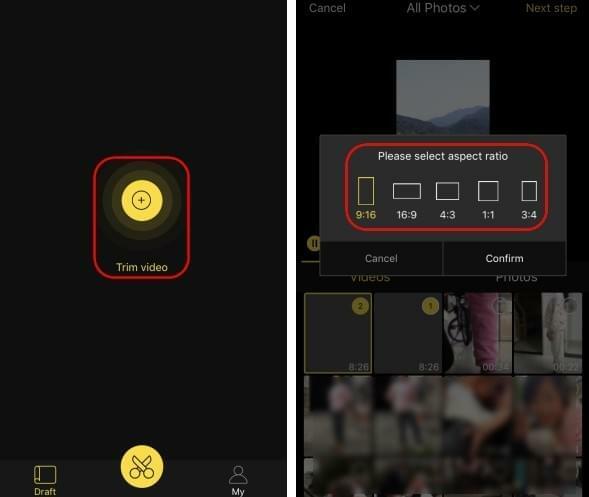 Hit the "+" icon on the interface of the program to add video files from your device.Once added, hit "Next step" then select a proper aspect ratio for the video and hit "Confirm". If you want to trim some parts from the videos you may select the video, tap "Trim" icon, drag the slider and tap "√" if you are done. Once all set, hit "Export" icon then select output resolution of the video. Wait until the video is saved on your device. 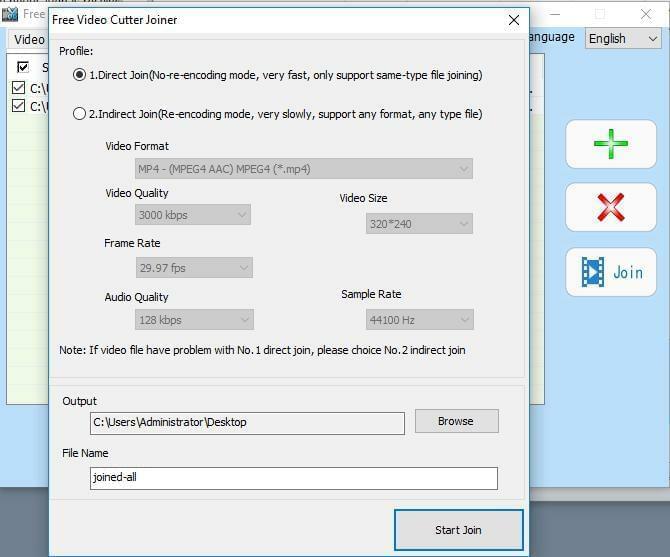 Another free video merger without watermark is Free Video Cutter Joiner. This is perfectly created to cut and join videos quickly. This software is compatible with Windows and Mac OS. Moreover, it can cut and merge large file size videos without having any trouble. Also, it supports several file formats such as AVI, MPEG, WMV, 3GP and FLV. Follow the guide below on how the program works. Download the program, install and open it on your computer. Click the "Video Joiner" tab then hit the "+" icon to add files from your PC. Afterwards, click the "Join" button and then choose "Indirect Join". Hit "Start Join" to start merging all the uploaded videos. Last but not the least is the iMovie. This is another video joiner without watermark for Mac OS and iOS devices. 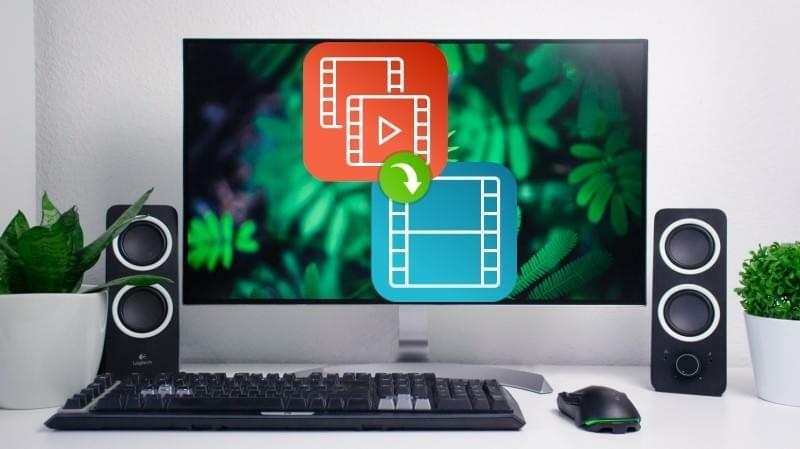 Just like the other video editing tools mentioned above, this is free software which won't add any watermark to your video. When the tool is installed on your device, you can use the program right away. Here are the procedure on how to use it. Launch the software on your Mac Computer. Import the video clips from your folder. Once added, simply drag and drop all the files you want to merge on the timeline. Enhance the video if you want to. When you are done, hit the "Share" icon then select "File" to save it on your Mac. If you want to share the merged video, simply click your desired social media site. Get the application from the App Store. 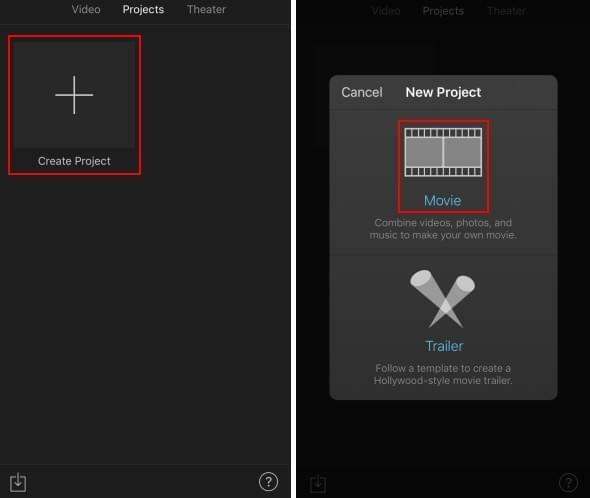 After the installation, launch the tool then hit "Create Project" > "Movie". Next, select videos from your device then tap "Create Movie". You can drag and drop the videos to re-order them. The videos will be joined together at the work area. Tap "Done" button to save it. All the programs presented above offer similar ways on how you can combine videos together. 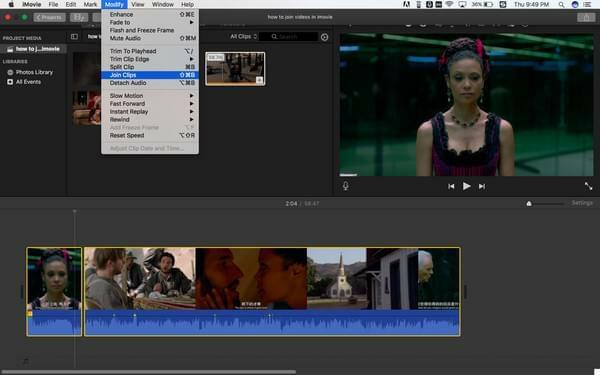 Meanwhile, if you want a handy and useful video editing tool, use the BeeCut. All users can use the tool anytime and anywhere. On the other hand, there are other free online video mergers available on the internet. If you know some, do not hesitate to drop a comment below.